Disasters & Development : Christchurch, a Man Made Disaster? Christchurch, a Man Made Disaster? In April this year, I was member of a group from UoN, looking at the impact on and recovery from the disasters of 2010 and 2011 that impacted Christchurch, New Zealand. My interest was why a modern vibrant almost sister city, could be unexpectedly laid flat by a series of earthquakes, and how it handled the post-disaster recovery and reconstruction. On the first morning, I stopped in my tracks outside my hotel viewing the desolate scene, my previous experience with hazards had been on TV. I did feel numbed wondering what happened to the people who had worked in the invisible buildings. They would still have their families, mortgages, ideals and aspirations but no workplace. And that was my first handshake with Christchurch! 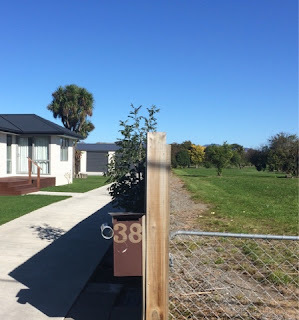 The people of Christchurch we met did not complain about losing their jobs, they did comment about: no community consultation; the Red Zone; the stressful insurance negotiations, and the inadequate settlements; the escalating cost of rebuilding, (where is a builder when you want one). Christchurch had found “the eternal elixir of job creation”, it was called “post disaster building boom”. It also unfortunately found “upper middle class poverty”. Family, mid early forty’s; kids at Uni; good jobs; manageable debt, ---The DISASTER --- house deemed unsafe; alternative accommodation; office demolished, got job??? ; home site acquired unilaterally; home insurance under half expectations, takes 4 years; depression; anger; hopelessness; no assets; bank wants its money, takes insurance and government money; kids university fees??? ; divorce expensive; admittance to mental health facility. The Newspapers continued to publish wellbeing surveys (the traumatised are the surveyed), all is well, Christchurch is rebounding. Which is the truth? Sorry for that side-track into Christchurch’s real world. Back to our itinerary, the Anglican Cathedral, its carcass lies in the heart of Christchurch, having been struck a solid blow by the 2010 hazard, suffering a more severe blow through the bishop of Christchurch initiating and then staying demolition early in 2011, in the intervening years suffering an almost fatal blow by dereliction. Whilst the bishop wants to pull this grand historic building down, the community and the government are fighting her decision in the courts. Lets all hope that she is vanquished. We then visited the beautiful Christchurch Art Gallery, reopened in December 2015 after a NZ $ 58 millions refit, including the implementation of a base loading mitigation facility. A mitigation strategy against the impact of horizontal acceleration during an earthquake. Unfortunately, it did not address the vertical acceleration that also impacts Christchurch during earthquakes. Does that mean that the art gallery is half resilient? Onward to The Exchange (EXCH), a great example of resiliency evolving from a community drop-in centre, a pleasure to visit and to experience such a successful resiliency program in action. 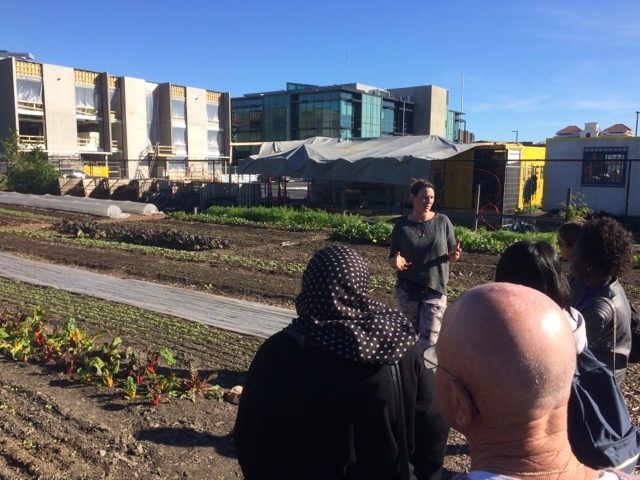 Then to Cultivate Urban Farm, ‘a saint in sheep’s clothing’, offering a sustainability program selling herbs and vegetables to local restaurants and collecting their green waste. Its real objective, being to nurture and make better troubled youth by engendering self worth whilst they are employed in the gardens. The unusual method of achieving this goal is to treat their charges as peers, with dignity, respect and purpose, strange isn’t it! Onward to Resilient Organisations, an enterprise established on the extensive research by academics at Christchurch University into resiliency. The resiliency referred to, being the resiliency of businesses to survive systemic hazards, a completely different definition of resiliency then we would use in the DRR context, but essential for sustainability. Then The Lyttelton Project, a community organised and supported project with sustainability the driver of each individual program, we experienced their Saturday farmers market, our support and enthusiasm well demonstrated by the extra kilos we carried back to the bus (and not in carry bags). Enter the Twilight Zone, in Christchurch called the Red Zone, I had never been in a ghost town, where there were no houses, or any other indication other than the drives across the footpath, that there were once over 8,000 homes in what was a major liquefaction area of Christchurch. Everyone was somewhat suppressed after our stroll through “nowhere”, Christchurch. 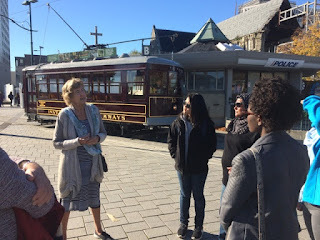 A quick walk around the city area, showed construction, and also the lack of construction. After six years I thought Christchurch would be a mini Dubai, with cranes everywhere. Was Christchurch a disaster waiting to happen, has it stopped: pre-disaster, irrefutable advice that mitigation was required was ignored; post-disaster, it ignored the community and their reconstruction, another disaster? A man-made disaster? Hazards: unpredictable in occurrence and scope; indiscriminate in the social structures they impact; do not adhere to their human assessed “return” periods; leave devastation in their wake; but they do not cause disasters. Humans: predictable in their pursuit of profit and self-interest; discriminate towards those who are vulnerable; respond rapidly after a hazard; leave confusion and desolation in their wake; and they do cause disasters.